Why are ostensibly environmentally friendly governments, like the federal Liberals and Alberta NDP, still so attached to oil sands extraction, with its disproportionate impact on carbon emissions? 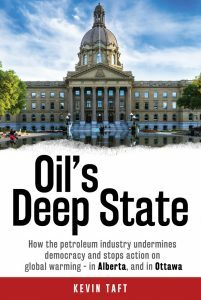 Former Alberta Liberal leader Kevin Taft has an answer in his recent book, Oil’s Deep State (Lorimer, September 2017), and it’s one that many Canadians and Albertans will find unsettling. Taft argues that the oil and gas industry has developed a stranglehold over federal and provincial governments, as well as large swaths of academia and the media, corroding Canadians’ ability to meaningfully address the threat of climate change. I spoke with Taft about his analysis, how we got to this point and what the future holds for oil’s deep state. Jeremy Appel: When we hear about the deep state it’s usually a reference to the power elite running the show in Washington, DC, despite Trump’s alleged goal to “drain the swamp” of corporate influence. What do you mean by the term in your book? Kevin Taft: When I finished the manuscript, the term “deep state” hadn’t hit the popular agenda very much yet. In fact, it was a concern of mine and the publisher’s that the term wouldn’t really resonate with people. It’s a term that goes back to the 1970s and has been used commonly in Europe, Turkey, the United States and Canada. What’s happened in the US since the Trump election is that the far-right has grabbed and torqued the term “deep state” for their own purposes and that’s what happens with political language, unfortunately. I tried to bring some theory to the idea of a deep state by connecting it to the notion of capture. There’s a long history of literature studying how democratic institutions get captured by private interests. The question I had is what happens when a whole series of democratic institutions are captured and held by the same private interests? What happens when the governing party, the opposition party, the regulators, the civil service, universities, for example, are all captured and held by the same private interest? I argue at that point you have a state within a state, which I call a deep state. JA: How did the non-renewable energy industry get so powerful in Canada in general, and in Alberta in particular? KT: It was a very slow process in Alberta. The oil industry here has been active for 100 years and gradually built strength. A key variable for Alberta is that we have a comparatively small population, so all of Alberta together has less people than metropolitan Phoenix or Seattle and we own the third largest oil reserves on the planet. This little population of Albertans owns more oil than all of Russia or all of the United States. It’s an overwhelmingly large resource for such a small population. As that resource is being developed, especially the oil sands, the economic weight of that has bent our democratic society into a warped shape. It gives immense power to the private interests who have managed to gain control of that resource. It’s very difficult for a government to manage a resource as large as the oil sands without losing control of the resource. I think that the only country who’s done that really effectively is Norway. We had a chance. In his first term or two, Peter Lougheed actually stood up and waged a struggle with the oil industry. He wrestled a lot of control away from the industry and into the hands of the people who actually own the resource, which is the government and people of Alberta. Those successes of the early Lougheed years began to decline in the later 1980s and Ralph Klein’s election in 1992 led to a compete abdication of control of our oil resources, turning it over to the private sector. We’re going to pay a price for that. JA: What happened in the intervening years, from Lougheed’s battle with the industry to Klein’s subservience to it? KT: There was a broad shift in the social-democratic discourse through the 1980s. You had the rise, generally in the English-speaking world, of the right. You had Margaret Thatcher in the UK and Ronald Reagan in the US, as well as the Chicago school of economics, who became champions of markets and the private sector. That was combined with a slowing in Alberta’s economy in the later 1980s and then a very deliberate and successful attempt, starting in the very late ‘80s and through the 1990s, by people in the industry, to take command of the Alberta government. You had, for example, a whole series of energy and finance and other cabinet ministers coming from the oil industry, spending a couple of terms in cabinet and then going back to the industry. It’s no surprise that those people took the royalty and regulatory systems and turned them to the benefit of the industry. JA: How did your personal experience in Alberta politics inform your analysis? KT: My experience had a profound shaping of my view. When I left politics [in 2012], I really left it completely. It was a couple of years after I left that I was invited by a university in Australia to give some serious thought to the relationship between fossil fuels and democracy. As I began reading, thinking and studying the theory, I realized that everywhere I looked, when I was in office, the oil industry was right there. Whether they were lobbying me or when I walked over to the legislature, they’d be lobbying the government, financing the political parties, funding the universities. Everywhere I turned, there would be the oil industry. When you’re in the middle of it, that just seems normal. But after a couple of years away and doing more serious thinking, I realized it was the oil industry that was running Alberta, not the people of Alberta. We have to remember the interests of the oil industry are not the same as the interests of the people of Alberta. That’s something Peter Lougheed said over and over again. The people of Alberta have to think like owners and we stopped doing that in the early 1990s. We’ve given up one of the most valuable resources on the planet. JA: More recently, Ed Stelmach attempted to raise royalty rates and the industry responded by shifting its financial support from his PC party to the upstart Wildrose. What does this tell us about the machinations of oil’s deep state? KT: Behind the scenes, there’s a very well-orchestrated campaign by the oil industry to control the public agenda. The backstory to the rise of the Wildrose party is part of that. I spend the first two chapters of the book talking about oil lobbyist and former Stephen Harper adviser Bruce Carson’s court case in Ottawa. All the documents, emails, bank statements and minutes tabled lay bare some of the behind-the-scenes efforts and millions of dollars spent by the oil industry to get a grip on the civil service, Environment Canada, Natural Resources Canada, the political system, through cabinet ministers and prime ministers, top civil servants, the universities and provincial governments. Of course, the public would never have a clue that that happened if a court case hadn’t allowed the police to actually seize these documents and computers and present the evidence in court. When I read through all those filings, it’s just stunning to see how systematically the oil industry works to orchestrate the public agenda, whether it’s pipelines, approval of oilsands expansion, undermining environmental initiatives. This is not random chance. You can trace this back to a core, which is the command centre of the oil deep state in Canada: the Canadian Association of Petroleum Producers. JA: What’s the way out of this situation? KT: Change in Alberta is going to be forced from outside. That change is going to come in a few forms. One is that a very rapid shift in energy technology is going to unfold in the next decade. It takes away a good part of the market for Alberta oil, which will unfortunately bring Alberta’s economy to its knees, creating a political crisis in this province. Another way out is the kind of citizen actions that we’re seeing across the country and around the world: the actions of First Nations, court actions challenging the pipelines and escalating civil disobedience. Frankly, a form of energy revolution is coming that will put the end to the oil industry, but that’s not going to be clean and tidy. It’s going to be a long and messy process. Originally published in The Monitor, www.policyalternatives.ca (Jan 2, 2018). Reprinted with permission. Jeremy Appel is a multimedia journalist and currently a reporter/editor with the Medicine Hat News. 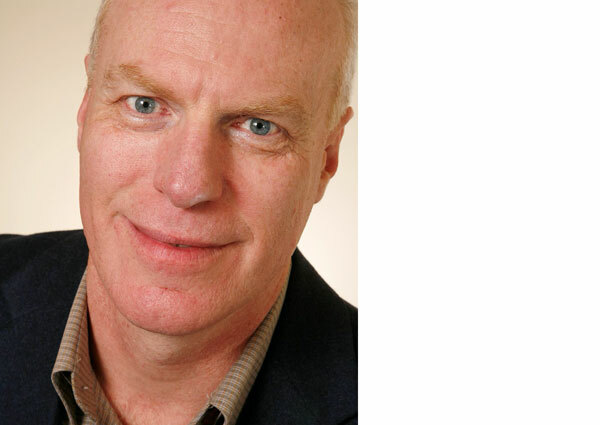 Kevin Taft is a best-selling author, consultant, speaker and former provincial politician in Alberta, Canada. His latest book is Oil’s Deep State. What does Kevin Taft make of the NDP’s lightning-fast surrender to the oil industry? What would he have done in Notley’s shoes? PS Feel free to copy and paste my Tweets! These are some Tweets of mine inspired by Kevin’s book. Essential reading for Canadians. If you can, gift a copy for your local library!